Hey Ethos Fam! It’s KDP with a quick product and dev update from…. Salt Lake City, Utah! Why am I in SLC? This week we converted a board room into a war bunker, bringing together a 5-person tactical group from across the world to tackle some of our toughest data challenges with 1 primary focus. Scaling. The Universal Wallet is jam-packed with rich data visualizations that will transform the way you view your finances, every time you unlock your phone! And to scale to the masses, we are shoulder-to-shoulder developing cutting edge ways to build these advanced metrics at lightning speed. Functionality — App functionality for the initial wallet release is nearly complete! 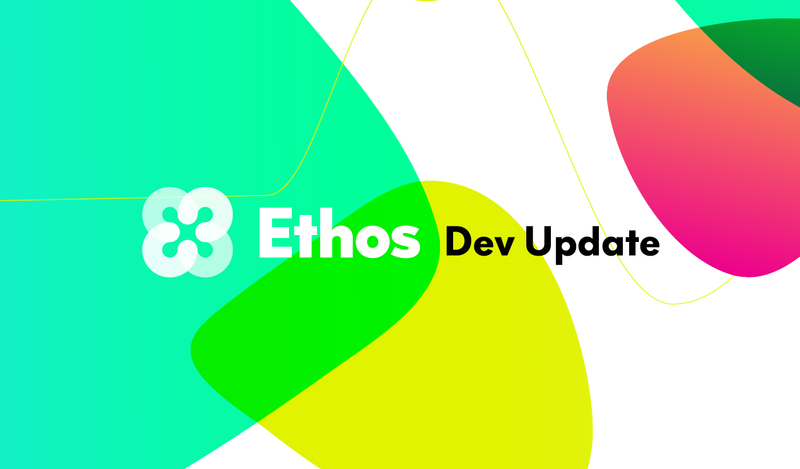 We have built a tremendous backend infrastructure within Ethos Bedrock that will power the Universal Wallet in managing data, seed generation, wallet creation, portfolio performance and app functionality. Design — Our final app designs are in, and they are magnificent! Shout out to the product council for their early feedback. We marched their suggestions directly to the design table and onto the next development sprint. We are rapidly implementing the community into the product in dedication to the grassroots, and will keep iterating through as many cycles with the council prior to release as possible. Home Stretch — We are moving into the implementation home stretch, wiring things up, preparing for scale, hardening the code and the infrastructure. This week we are distributing the app internally to our dev team as we find ways to poke holes in the app. We are up to 12 high-powered engineers on our development team, preparing to scale into an official 2nd team. We’re also staffing up on our creative, marketing and content teams. The fam is strong and getting stronger! Our methodology is working beautifully. We are measuring our effectiveness and efficiency with a deep level of precision. In addition to hitting our productivity goals in delivering app functionality in each of the last 2 sprints, and we have pushed it to the limit and increased productivity 109% sprint-over-sprint. Time to get back to work! We are just as excited as you are to jump into the Universal Wallet. Here‘s a little sneak peek of what’s to come – a quick video walkthrough of a few parts of the app, and an animated GIF showing progress on the live app in our dev environment. Medium wouldn’t let us resize this image, so zoom out. The app won’t be this enormous of course, at least from a visual scale standpoint 😉. Looking pretty snappy if I do say so myself 😍! Exciting stuff. Until next time Ethos family! We’re getting close!